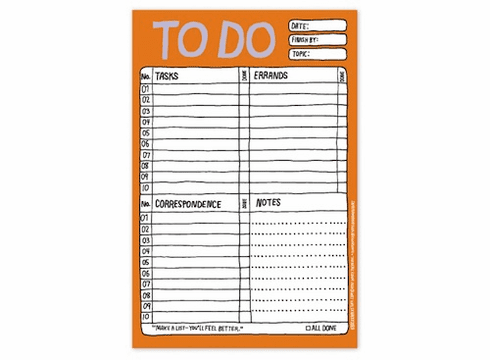 Making a to-do list is one of the few chores both essential for organized productivity and delectable for leisurely procrastination. This hand-drawn hero practically guarantees that everything will get done. The perfect gift for go-getters and gadabouts alike. Enjoy the satisfaction of an “All Done” checkbox on each sheet. 6 x 9 inches, 60 sheets. Available in red and blue, too.